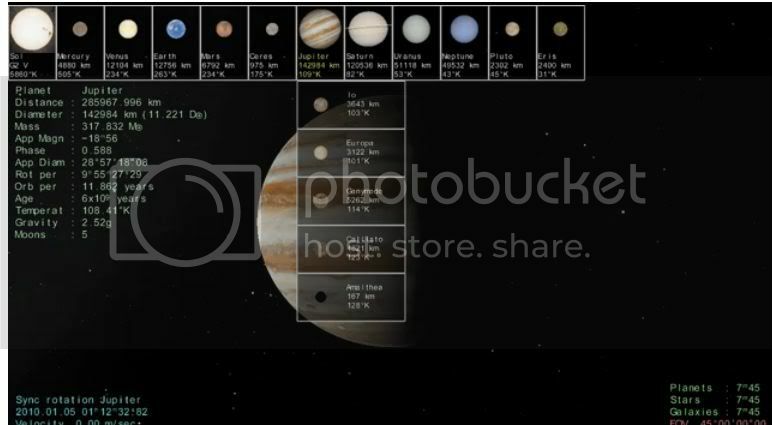 Can the solar system browser [F2] have larger thumbnail images for the smaller planets? It is quite hard to see them. 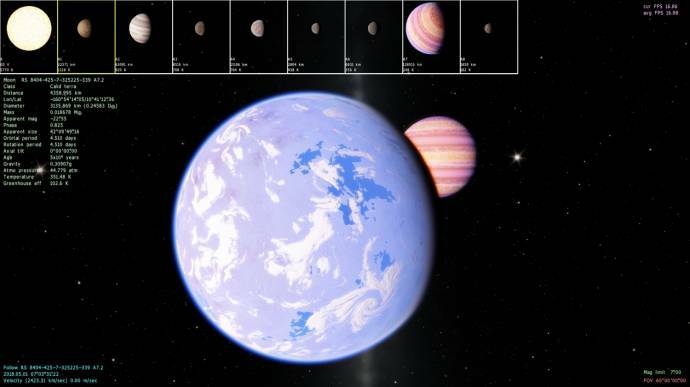 The larger planets display very well as thumbnails, but it would be even better if the smaller planets could be made the same size as the largest ones. I.e. the circles represent a planet or star and the cross the planet/star barycenter. Also, I reckon the old F2 display structure (below) was much better to use than the new browser system as now implemented. Not that I am suggesting that it should be changed again, but that is just my personal preference. Well, how about keeping the current thumbnail ratios the same, but increase the whole system browser in size by 50%, so everything looks 50% bigger? Then at least the smaller planets/moons would be seen in much better detail. I understand that this browser size increase would not be a problem on smaller monitors because the images can be scrolled left and right if they should go off-screen anyway, if I recall this correctly. If those images are generated in engine, the barycenter would still be a problem to display anyway; it's still an empty thing, even if it had stars/planets generated with it too. I would suggest using just a symbol for it, such as a 2D yellow marker cross with 2D celestial bodies around it... maybe? I scale them to 200%. Look at pictures. I can make the scale adjustable in config. The problem with this is the fact that SE generates previews with a low-res "base" texture (256*128). 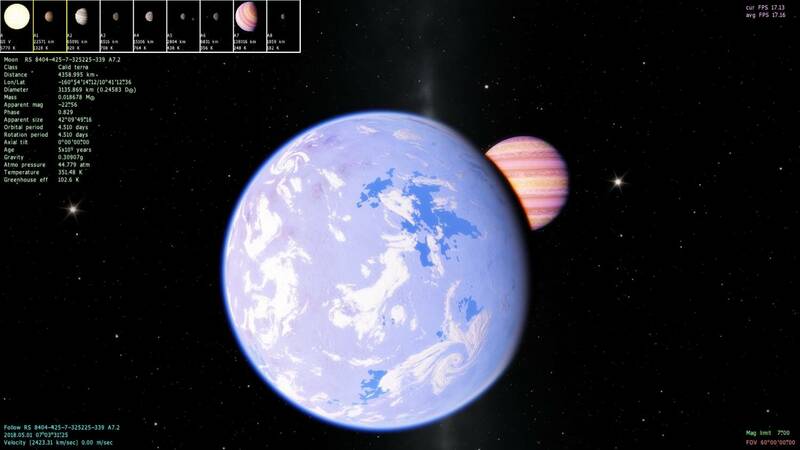 This texture is used to render a spherical planet from a great distance, then its size on screen is lower than approx. 50 pixels. So if thumbnail image becomes bigger than the default 80 pixels, then the planet for it becomes blurry... I don't want to increase the resolution of the base texture, because it consumes a lot of vram; I don't want to let SE generate first levels of landscape textures to render the thumbnail, because it consumes a lot of vram for planets that players will probably never visit; I don't want to increase thumbnail resolution because asteroids would appear strange too (spherical, because no actual mesh is generated for render body with base textures). Definitely look much nicer when images are larger. I reckon a good trade-off would be to have them at 100% of current size instead of the 200% as you've shown. One other thing: The yellow boundary box that displays itself when we click on the thumb-image in the browser indicates the currently selected celestial object in space together with its marker, but it would also be useful if we could select the object in space so the yellow boundary box highlights the thumb-image in the browser too, that way we can get some visual idea of what a distant object in the solar system looks like before flying to it.